【大紐約區公告】徐德修Prof. 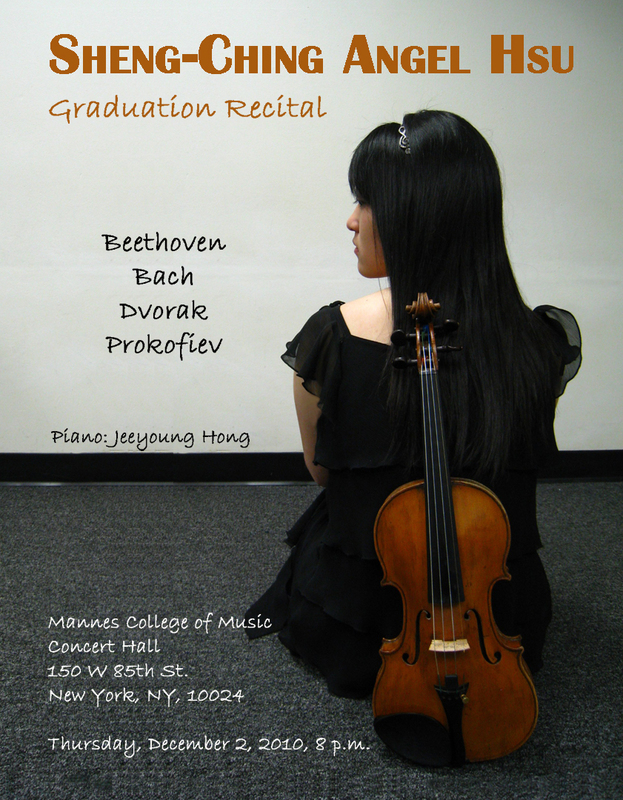 Hsu's daugter will have her graduation recital in Manhattan this Thursday (2010-12-02). It is free. Alumni are welome to attend and enjoy the music. The recital will be held at the concert hall, Mannes College of Music, 150 W 85th St., New York, NY, 10024, on Thursday, December 2, 2010, 8 p.m.